Last week, Bethesda announced the development of it’s newest title - Wolfenstein: The New Order. This new installment of the Wolfenstein series takes place in an alternate 1960, in which the Nazis won World War II. Also, the Nazis have the giant death tripods from War of the Worlds, along with several other overzealously destructive weapons. Based on the initial info provided, it seems like a promising first person shooter! Hooray for overthrowing the Nazis! Hooray for alternate realities! Hooray for giant laser beams! Hopefully, for Sony console owners, this game actually works properly. Perhaps I should explain the original point of this post. 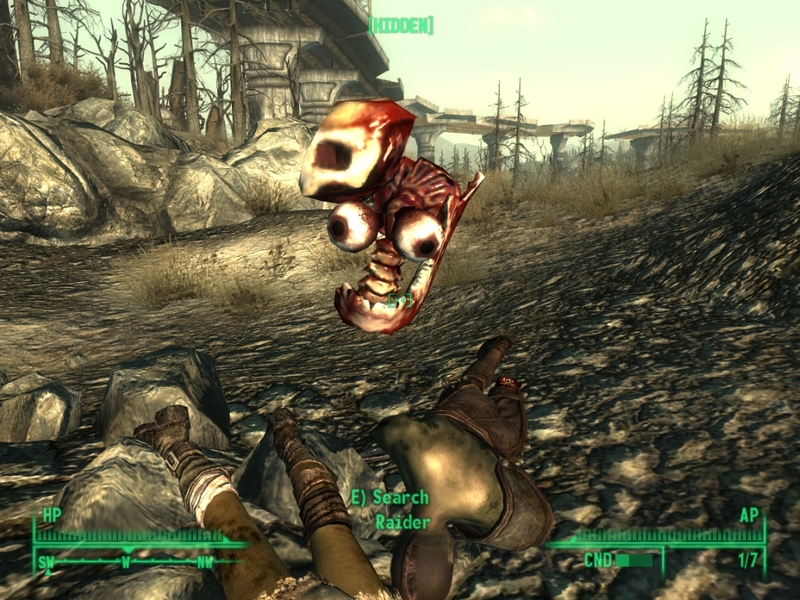 I was planning on writing a slightly inflammatory article on why I enjoy Fallout 3 more than Fallout: New Vegas. I have completed both games, and both certainly have their merits and faults. Despite the former’s low level cap, I appreciated Fallout 3 more. I thought the overall plot was more engrossing and darker, the world design was far more accessible, and I was bored by the faction conflicts in New Vegas. More often than not, I was frustrated by New Vegas. Even by Bethesda game standards, I was faced with excessive glitches, malfunctioning quests, and corrupted save files. My entire experience was frustrating and hard to enjoy, and I blamed Bethesda’s poor development team for not putting as much effort into New Vegas as they put into its predecessor. I played New Vegas on the PS3, and played Fallout 3 on the Xbox 360. When I traded my 360, I lost Fallout 3. Having beaten it completely, I was not really fussed. However, recent I had started getting the Galaxy News Radio music stuck in my head, and I felt an urge to re-visit Fallout at its finest. So I picked up a PS3 copy of the game for $5 from my local GameStop and....found myself plagued by the same constant glitches and corrupted saves that tormented me during my time with New Vegas. Hey there Krang! How've the Teenage Mutant Ninja Turtles been lately? Bethesda’s poor relations with the PS3 became especially apparent after the release of The Elder Scrolls V: Skyrim two years ago. Skyrim certainly was, and remains, a phenomenal game. However, the PS3 version was ridden with glitches, and the game slowed down considerably the longer it was played. The DLC packages released for Skyrim were also unplayable on the PS3 version, and were not released until almost a year after they were released for the 360 and PC. Fans had nothing but a year of uncertainty regarding whether or not they would eventually receive the long-awaited Dawnguard DLC, while Sony and Bethesda bickered over who was to blame. 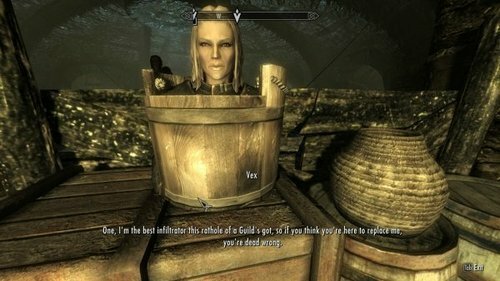 "You'd be amazed at how easily a stealthy severed head can get around...and fortunately the Thieves' Guild believes in the handicapable. Are all PS3 ports of Bethesda games doomed to suffer the glitches of corrupted save files, textures which don’t load, and significant slowdowns? Many PS3 owners have boycotted Bethesda games after experiencing constant disappointments and frustrations. Bethesda’s latest release, Dishonored, has seen a much smoother experience on the PS3...but some owners still report glitches which prevent them from getting past the loading screen, and several patches were released to solve frame rate and loading issues. The issues are very minor, but they reinforce the fan-perceived gap between Sony and Bethesda. I adore the vast majority of Bethesda’s releases, and I have high hopes for the new Wolfenstein title. It is scheduled to be released on the PS3 and the next-generation consoles, and so hopefully Bethesda and Sony can reach a “fresh start” of sorts. It could be that owners of Sony consoles will be able to play Wolfenstein without so much as a hiccup. Or, perhaps the PS4’s initial release bugs will render the game unplayable. All I know is that after several weeks of revisiting endless frustrations and gameplay issues, I hope that Sony and Bethesda can discover some form of compatibility and give their fans some new confidence.